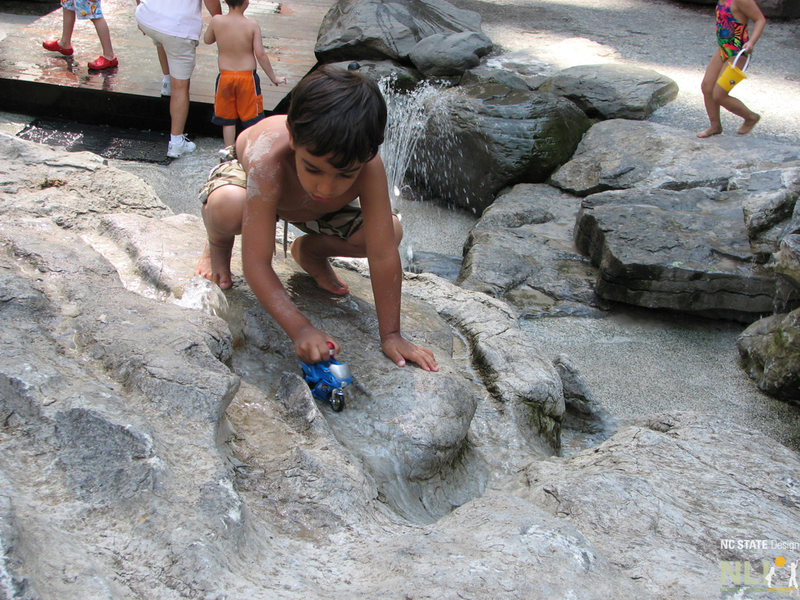 Michael Van Valkenburgh Associates (MVVA) invited NLI to join the Teardrop Park design team to contribute to the park design from the point of view of child development, family dynamics, recreational programming potential, and safe play behaviors. 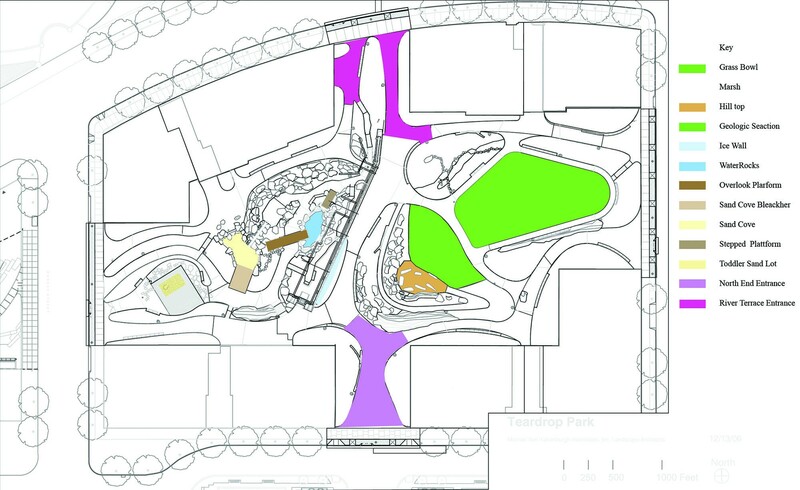 “Park as playground” (meaning no age divisions except for an enclosed area for infants and toddlers) became a key concept early in the design process. The Hugh L. Carey Battery Park City Authority, the client, was interested in creating a unique design worthy of its prominent Battery Park City location on the Hudson River. Teardrop Park is an award-winning design praised for its diversity and capacity to serve a wide range of users. 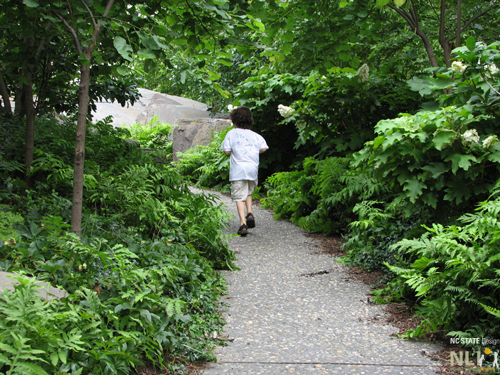 In 2009 the park recieved an Honor Award for Design from the American Society of Landscape Architects (ASLA). Visit Teardrop Park on the MVVA website for details about the creation of the park. 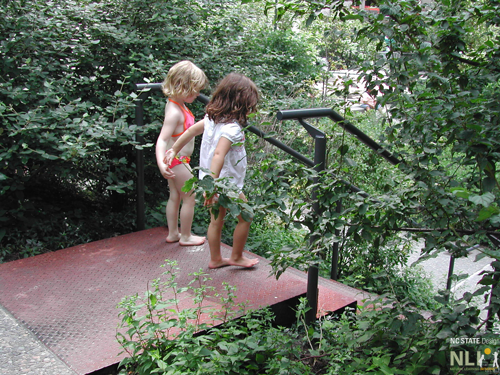 In December 2007, a post-occupancy evaluation of the park by NLI was published in Landscape Architecture Magazine. 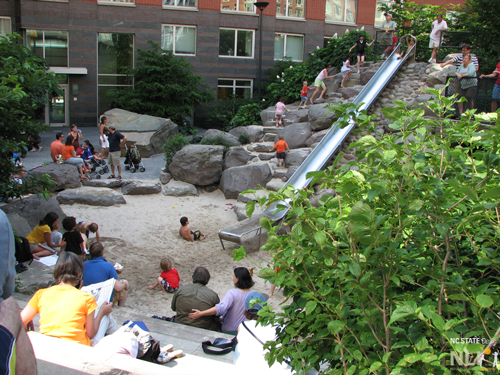 Teardrop Park is managed by the Battery City Parks Conservancy who offer unique family play programs in the park as part of on-going play programming throughout Battery Park City.